set,DStv and GOtv is the largest pay cable television in Nigeria and Africa with millions of customers in South Africa and Nigeria. The DStv/GOtv remote control is an electronic device that allows you to operate your decoder which is connected to your television set from a distance. With your remote control you can off/on the decoder,increase the volume,change channels etc from a distance without stress. When you buy a new decoder,it usually come with a brand new remote control,however when the 'follow come' remote control malfunctions or stop responding,one of the options available to you is to go look for another replacement or devise another alternative means. 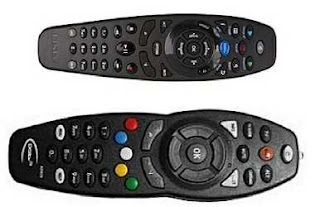 This post contains information about DStv and GOtv remote control,it's current price,types,alternatives and where and how you can easily get a replacement for your DStv or GOtv remote control. Q: What Are The Types Of DStv & GOtv Remote Controls? Q: Where Can I Buy The DStv & GOtv Remote Control? You can simply walk into any branch office of DStv multichoice near your area and buy a new remote control unit for your decoder. An alternative is to order online from Jumia or Konga,however it's cheaper to buy from your local DStv agent office,because most often,when you order online and your living outside Lagos State,you might be required to pay for shipping fee. Q: How Much Is GOtv Remote Control? also be used to operate some versions of DStv decoder apart from the DStv explora. Q: How Much Is DStv Explora Remote Control And It's Specifications? The DStv Explora Remote Control supports multiple modes and can also control other audio/visual equipment,it's also designed specifically to fit your hand,the DStv Explora Remote Control cost between ₦3,000 - ₦ 7,900. Q: How Do I Operate DStv / GOtv Decoder Without Remote Control? You can actually operate your DStv or GOtv decoder without remote control because the decoder actually come with buttons that can be used to operate the system when the remote control is not available,another method that you can use to operate your DStv / GOtv Decoder without remote control is to get the DStv remote app installed in your mobile phone. This app can be found in Google Play store for Android users or Apple Store for iPhone users,however you should be sure that your mobile device has an Infrared blaster,this will be enable the app to function properly. When you properly install this app in your phone,it can serve as a remote control until you get a replacement.